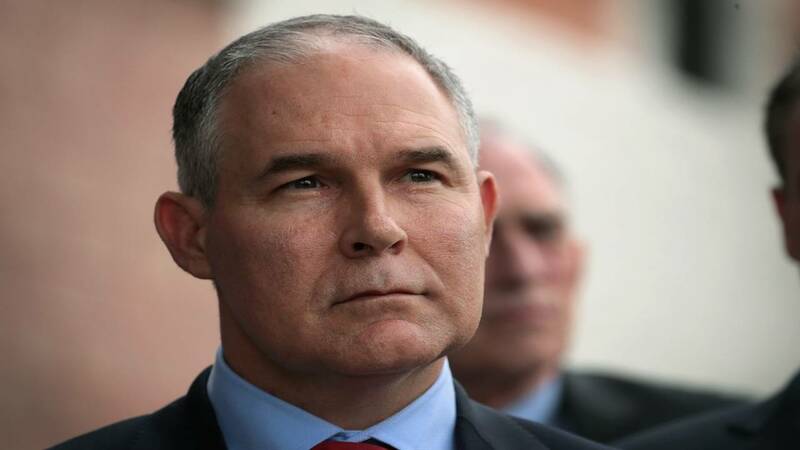 WASHINGTON (CNN) - The federal government's top voice on ethics has sent a letter to the Environmental Protection Agency outlining areas of concern regarding agency chief Scott Pruitt. The pointed letter from David Apol, the acting director and general counsel of the Office of Government Ethics, summarizes reports of Pruitt's conduct, including a rental agreement with a lobbyist whose husband's firm lobbies the EPA as well as EPA spending on Pruitt's travel and security. The letter also takes express concern with reports of Pruitt bypassing the White House to give raises to favored aides and other employees who faced job changes after raising concerns over his conduct. The New York Times first reported on the letter. CNN has reached out to the EPA for comment. The letter said news of Pruitt's frequent trips back to his home state of Oklahoma with related taxpayer spending "raise concerns about whether the administrator is using his public office for personal gain in violation of ethics rules." Likewise, the letter calls reports of Pruitt sidelining employees concerned over ethics "extremely concerning." "If true, it is hard to imagine any action that could more effectively undermine an agency's integrity than punishing or marginalizing employees who strive to ensure compliance with the laws and regulations that safeguard that integrity," Apol wrote. OGE itself does not have authority to take action in response to potential ethical violations by Pruitt, and in the letter, Apol said OGE expects the EPA to "review and analyze" Pruitt's conduct alongside a simultaneous response from the inspector general for the EPA. Over the weekend, President Donald Trump vouched for Pruitt in the face of mounting reports of ethical lapses, saying on Twitter that Pruitt "is doing a great job" and dismissing some of the stories about Pruitt's actions.